In today's edition, Secretary of State hopeful Mike Pompeo's failure to disclose business ties with China may complicate his upcoming confirmation hearing, we join a group letter urging Congress to support the Honest Ads Act, Ohio's House speaker resigns, Hungary closes its civic spaces, and more. A screenshot from OMB's visitor log PDF. Trump administration releases limited set of White House visitor logs in response to lawsuit. The White House released a 19 page PDF covering visitors to the Office of Management and Budget, the Council on Environmental Quality, and Office of National Drug Control Policy for February 2018. They claimed 543 exemptions. The release was in response to a lawsuit filed by Public Citizen, who took the time to convert the PDF release into a spreadsheet. Our view? While we look forward to seeing this data integrated into existing projects, like ProPublica's ongoing effort, and used by watchdogs and the public, this sort of release remains an open government regression. The White House should be proactively releasing visitor logs as open data. As we said last April, secrecy on the White House visitor logs showed that the Trump administration was allergic to transparency. Our conclusion has been confirmed again and again in the year since. Congress should mandate proactive disclosure. Senate Judiciary Committee may consider legislation protecting special counsel Robert Mueller. "The Senate Judiciary Committee is moving forward with legislation to limit President Trump's ability to fire special counsel Robert Mueller. Committee Chairman Chuck Grassley (R-Iowa) wants to add the bill to the panel's business meeting agenda scheduled for Thursday, a spokesman for the senator confirmed to The Hill." (The Hill) Our view? We're glad to see Sen. Chuck Grassley (R-IA) moving forward with legislation limiting President Trump's ability to fire special counsel Robert Mueller. No one is above the rule of law, including the President. Read the legislation in question here. Senators Amy Klobuchar (D-MN) and Mark Warner (D-VA) introduce the Honest Ads Act. Image via PFAW. Meanwhile, we joined a broad coalition urging Congress to pass the Honest Ads Act. The letter, sent to all members of Congress, explains that "the bill recognizes that voters have a right to know about foreign sponsors and funders of campaign-related Internet ads. Our organizations and experts strongly urge you to support the Honest Ads Act and to publicly press for prompt passage of the bill by Congress." You can read the full letter here and learn more about our support of the Honest Ads Act here. 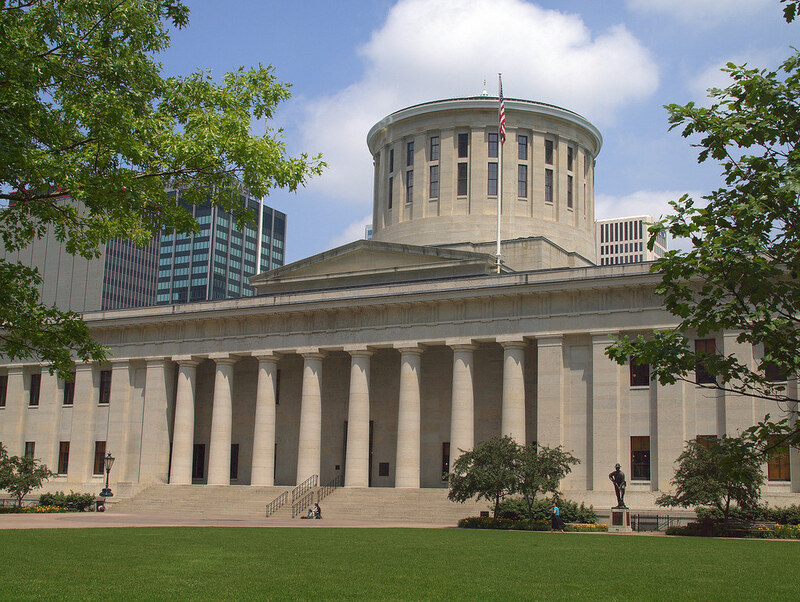 The Ohio State Capitol building. Image credit: Jim Bowen. Connecticut House of Representatives passes bill that would require notification when personnel records are FOIA'd. Josie Albertson-Grove shared all the details; "The Connecticut House just passed a bill that would require agencies to notify employees when their personnel records are sought through FOIA…Supporters of the bill claim FOIA is used by gangs, identity thieves, and people who want to hurt police officers with 'fishing expeditions.' The ACLU of Connecticut noted that agencies already have the right to determine if a request constitutes an invasion of privacy." You can read the legislation here. Screenshot from the Resource Watch homepage.